‘This is a book which you can’t really believe hasn’t already been published. 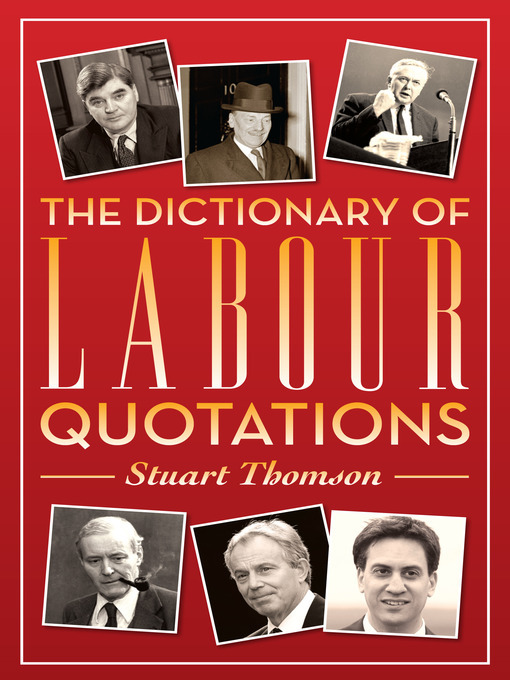 Yet for the first time, Politicos has published the Dictionary of Labour Quotations, packed with the wise, the witty, the caustic and the compassionate words from Labour thinkers and leaders over the century. All the greats are here: Hardie, Attlee, Wilson, Crosland, Tawney, Kinnock, Smith and Blair. There are the Labour prophets – false or otherwise – Marx, Trotsky, Lenin, Bakunin, Kautsky and Stalin. The Dictionary is bang up to date, with pearls from Alistair Darling, Denis Macshane, Gordon Brown and other contemporary thinkers. As Labour celebrates 100 years, this book reminds us that Labour’s leaders and politicians may come and go, and that politics is a knock-about trade, but that our values stay constant. When pioneers like GB Shaw said “the greatest of evils and the worst of crimes is poverty”, the words echo down the century.